Var. serrulatum: Bogs, pocosins, wet pine savannas. Rare in NC Piedmont, common in Coastal Plain. Var. viscosum: Moist streambanks, shrub balds, and other moist habitats. 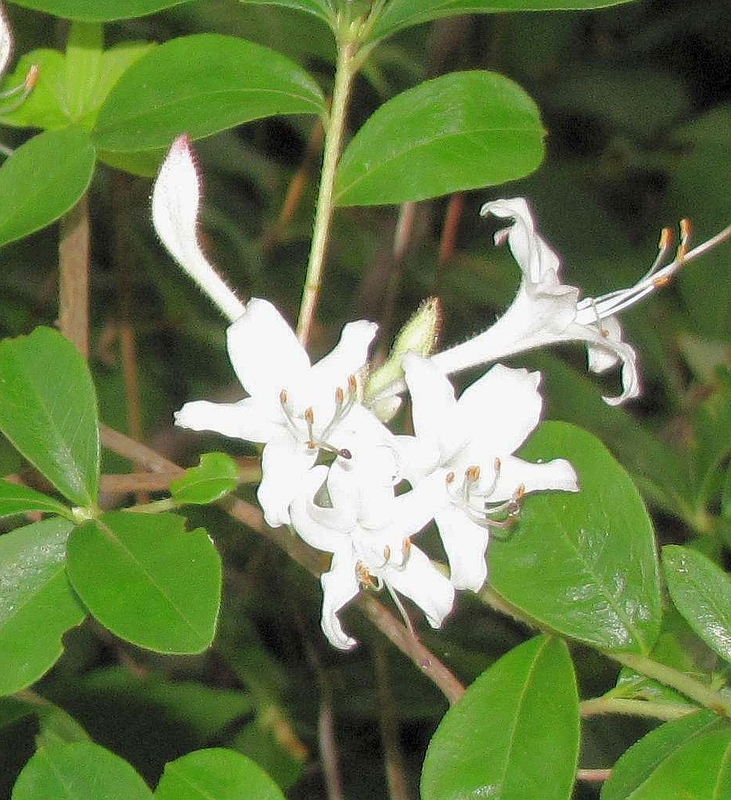 Common in NC Mountains and Piedmont, uncommon in Coastal Plain. Flowers later than var. serrulatum. Members of the genus Rhododendron support the specialized bee, Andrena cornelli. 2 varieties of Rhododendron viscosum in NC [see Habitat Description]. 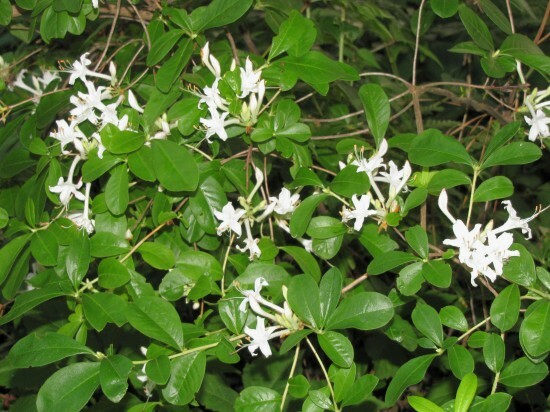 Found in bogs, pocosins, wet savannas, stream sides and other moist habitats, Swamp Azalea will also do well in gardens with some shade and average moisture. It blooms late for an azalea, after its leaves are out. Scent is spicy and sweet. The common name, Clammy Azalea, comes from the stickiness of the flowers.